The lightweight, self-treatment device is used by the patient for 10 minutes per day. OrthoPulse can be used with any type of orthodontic mechanics, including brackets/wires and clear aligners such as Invisalign. Reduced orthodontic treatment time may help prevent certain issues associated with braces and orthodontic treatment, including de-calcification of teeth and gingival (gum) recession. And treatment is safe, with no side effects. For example, studies have shown that tooth movement accelerated with this device does not lead to increased root resorption. 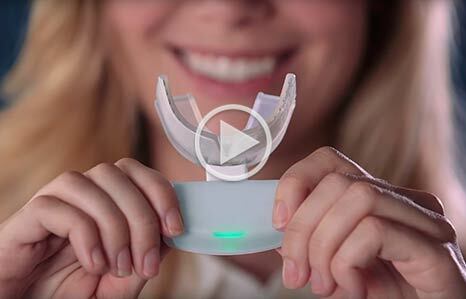 OrthopulseOrthoPulse® has FDA clearance to use with aligners (Invisalign) and fixed appliances (braces). OrthoPulse is scientifically proven, non-invasive, drug-free, and extremely low risk. The device is made of medical grade silicon. The device is ready to use out of the box — no fitting, adjustments, additional setup, or assembly is required. OrthoPulse comes with a lockable charging case and wireless charging for convenience and ease when traveling. For more information on OrthoPulse, visit http://www.orthopulse.com.